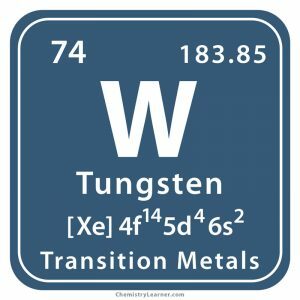 Tungsten (pronunciation TUNG-sten ), represented by the chemical symbol or formula W , is a hard, brittle element belonging to the family of transition metals . Naturally occurring W is a mixture of 5 isotopes with mass numbers 180, 182, 183, 184 and 186 [1, 3]. Besides that, it has 33 synthetic, radioactive isotopes with known half-lives . It doesn’t react with water and oxygen (air) at room temperature. In red hot condition, it forms its oxide. It reacts with halogens but remains unaffected by most acids and bases . The metal does not occur freely in nature. 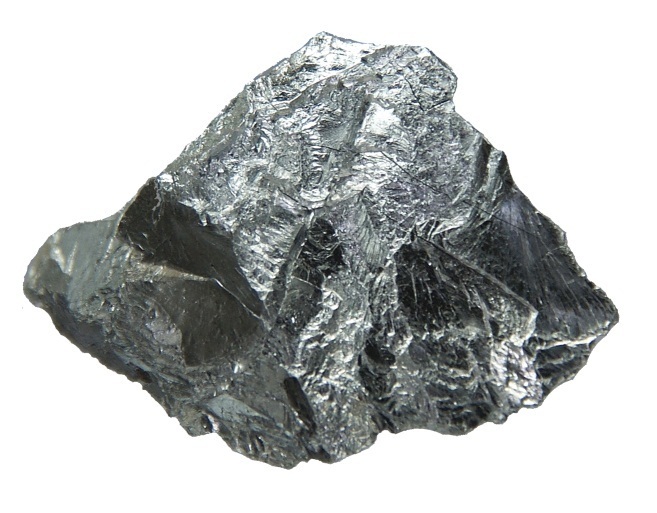 Its principal ores are wolframite and scheelite. Commercially, it is produced by reducing tungsten oxide with carbon or hydrogen . 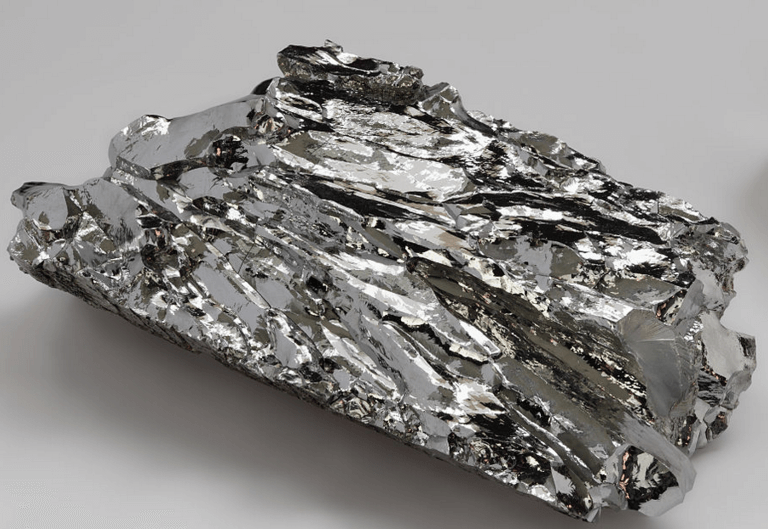 It is mined in China (world’s leading producer), Austria, Portugal and Bolivia . Origin of Its Name: Its name is derived from the Swedish words “tung sten” meaning heavy stone . 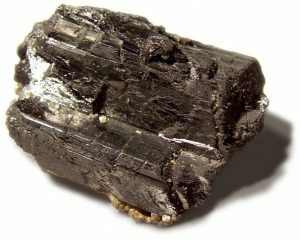 The origin of its chemical symbol is its earlier German name, Wolfram that is derived from the mineral wolframite from which it was first extracted . 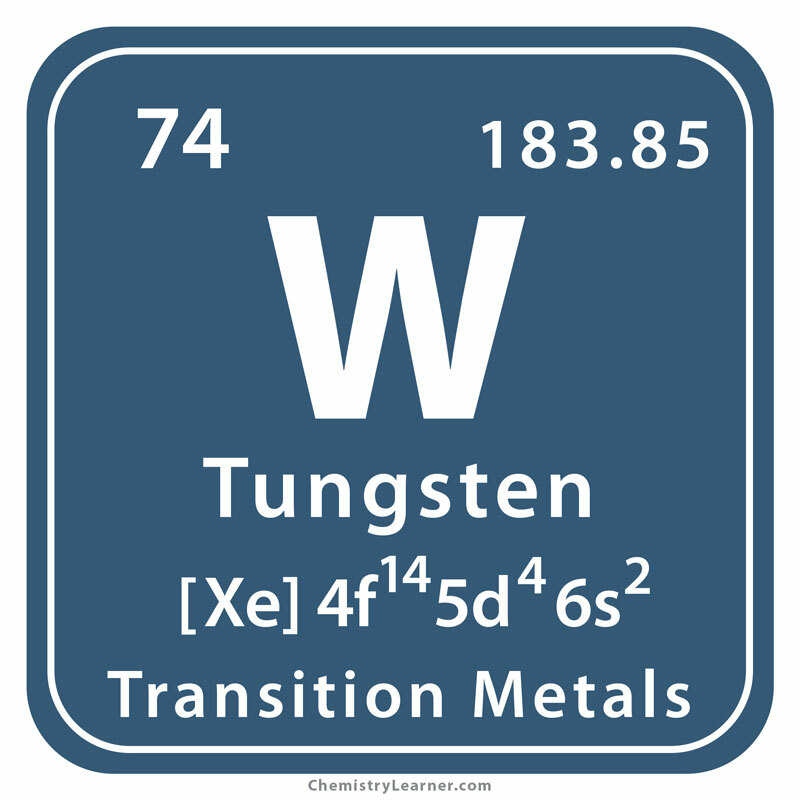 Who Discovered Tungsten: Spanish chemist brothers, Juan and Fausto Elhuyar [1, 2]. In 1779, Irish chemist Peter Woulfe investigated a mineral from Sweden and concluded that it contained a new metal but did not isolate it. In 1781, German-Swedish chemist Wilhelm Scheele examined it and separated an acidic white oxide from it which he observed to be an oxide of a new metal. Finally, in 1783 the Elhuyar brothers successfully reduced the oxidze to metallic tungsten by heating it with carbon at the Seminary at Vergara, in Spain [1, 3]. As filaments in old style of incandescent electric bulbs. They are not much used these days as they are not energy efficient . It is alloyed with other metals or steel for strengthening them. 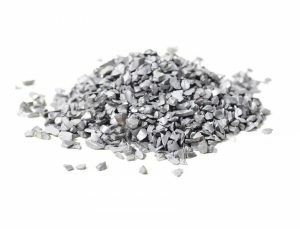 The metal and its alloys have many high-temperature applications such as heating elements in high-temperature furnaces, arc-welding electrodes, etc . 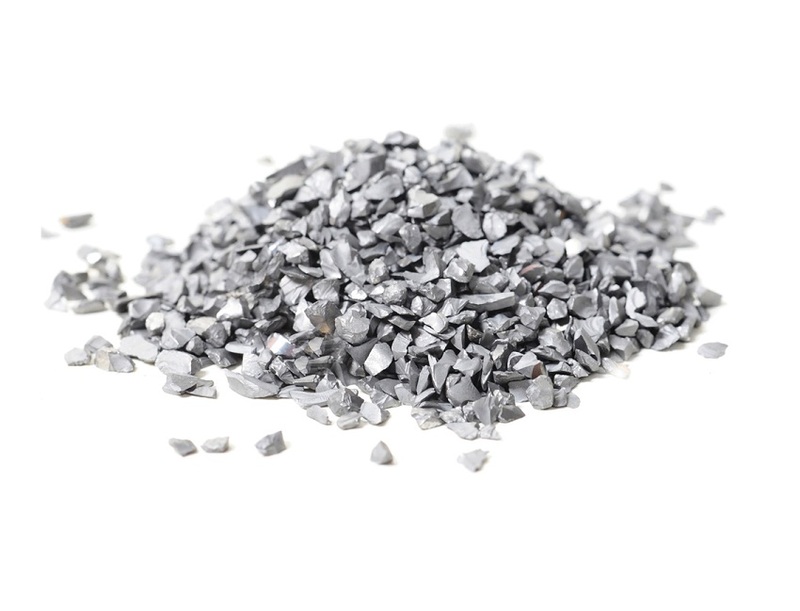 Tungsten carbide being massively hard is important to the mining, metal-working and petroleum industries. It also makes excellent drilling and cutting tools . Fluorescent lighting widely uses magnesium and calcium tungstates . Making jewelry and fishing equipment [12, 29]. 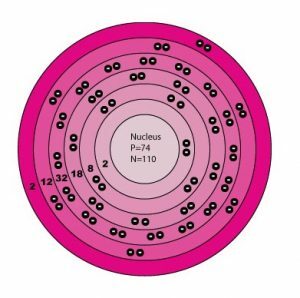 Though the element is considered to be of low toxicity to humans, inhaling hazardous W dust may lead to chronic poisoning that may result in pulmonary fibrosis [3, 10]. Exposure may also pose a risk of allergy . 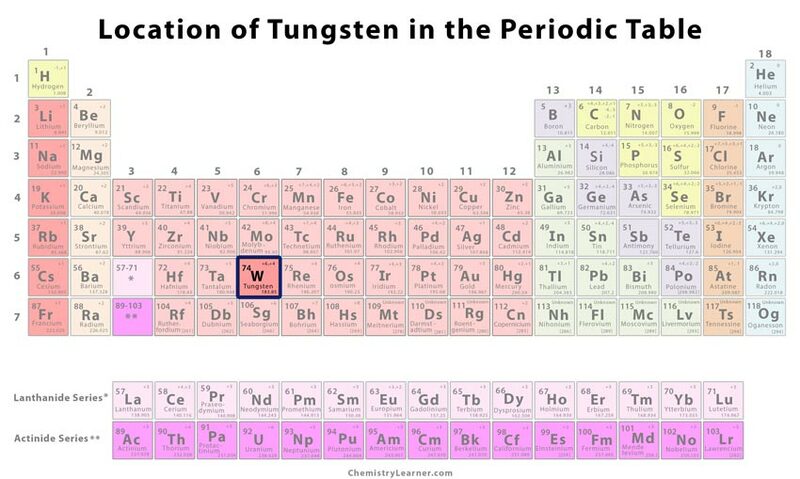 Tungsten is the metal which has the highest melting point . It is the strongest metal for its highest tensile strength . It does not rust, tarnish and is scratch resistant ! The pure metal is priced at $11 for every 100 gram and in bulk, the same quantity costs $2.95 .